Yesterday, we shared with you the story of Mr Harold Tan, a former Rafflesian who fell victim to drug addiction. 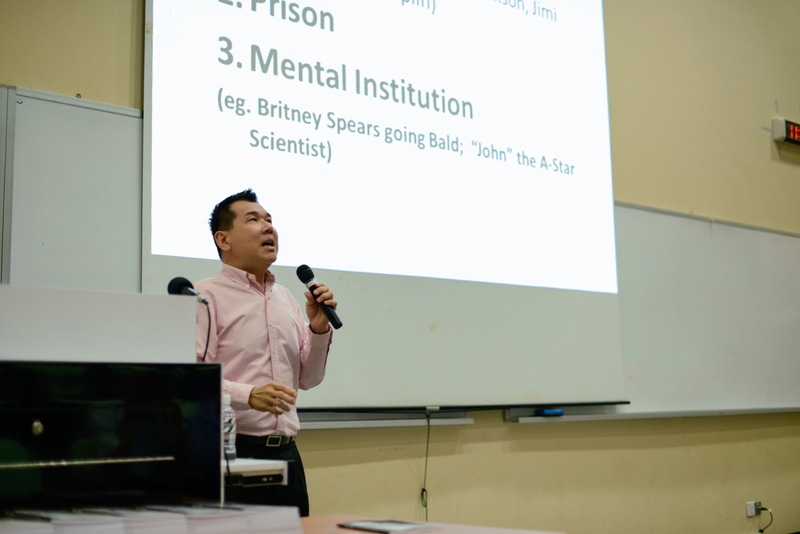 Today, we continue with Part 2, featuring Mr Tan’s recount of his prison experience, and the things he wants Rafflesians to know, understand and learn from. Mr Tan remembered many sleepless nights in prison. Some inmates had been there a long time and suffered from mental conditions such as suicidal tendencies and depression. They were given anti-depressants in the day but the medication usually would wear out by 3am or 4 am in the morning. Some would then wail, scream or chant loudly and incessantly like mad men. They disturbed the sleep of inmates in neighbouring cells who would yell back at these men with a stream of obscenities, turning the place into a dog pound. It left him wondering – “Where’s the humanity in all of this?” Stuck in the corner of his cell, he awoke to a rough world every morning, a world with people behaving like dogs “barking”; not thinking anymore, just reacting like animals out of the frustration of being caged up. He presented to us the grim reality of the drug life – how it all begins, how it all grows, how it all ends. Yet he uses his experience to remind us of these realities – and how we can avoid them. Mr Tan tells us how he now avoids people using drugs at parties for recreation, and how we will become the most at risk, the growing trend of major recreational drug users being among the young and professional class (the PMETs: Professionals, Managers, Executives and Technicians). He reminds us of things we’ve already read about, but tend to gloss over and forget about – dismissing it as irrelevant to us. “Drugs bring about only 3 outcomes,” he says. The first is death. Mr Tan cited examples of Whitney Houston, Michael Jackson, Jimi Hendrix, Janis Joplin, just to name a few. He tells us of rubber plantations in Malaysia with makeshift factories producing drugs, and how many more drug labs are creating dangerous drugs targeted at us (young people), synthetic drugs that put us at a greater risk of addiction, and its most grievous side effect – death. The second outcome being prison – the path Mr Tan went down. Finally, the third outcome Mr Tan mentioned is being admitted to mental institutions. He cites Britney Spears’ major drug breakdown (when she shaved her head bald in front of paparazzi) as a popular example of how drugs can drive you insane. Mr Tan is still grateful for the entire experience, despite all the suffering he had to endure. He met far less privileged people, some without any formal education. He met people who dealt in drugs because they had no other reason to survive – and these are the people you don’t normally meet, he says. He recalls his cell-mate John (whose name has been changed to protect his identity). John was 34-years old when he shared the same prison cell with Mr Tan. He was an A-star scholar, and made it as a top-grade microbiologist doing cutting edge stem cell research – and evidently knew every effect of every drug on the market. Yet he was suffering from drug addiction to the point he could smoke up to 1g of crystal meth – or S$400 worth – everyday. John was using so much crystal meth, he couldn’t stop – because the more your body gets used to it, the more you need to get high. And he could not sleep for days. One night as John was playing games on his computer he noticed his computer speed go down. Most of us would think, maybe it’s time to stop, and to check it out tomorrow instead. Mr Tan recalls the story John told, of feeling so high he became paranoid – he started hearing voices in his head. He was 100% convinced that his neighbour was hacking into his computer, despite the fact that his neighbour was a 72-year old retiree. Clearly, the likelihood of a 72-year old man knowing how to break into your Internet system past midnight is incredibly slim – yet John didn’t realise that. This led to John going over to his neighbour’s house, smashing a window and screaming profanities at the neighbour until the surrounding residents called the police. Even his mother couldn’t calm him down; in fact, in her efforts to restrain him, he slapped her. The police brought him to IMH (Institute of Mental Health), where he was given injections to calm him down. After 2 weeks, John was transferred into Mr Tan’s prison cell – yet even after entering the cell, John did not appear normal – his reactions were slow, his hands were trembling and his face was twitching – the after-effects of using too much crystal meth (“ice”). 6 weeks later, Mr Tan recalls John starting to pick a fight with one of his cellmates. John had suffered a mental breakdown. Mr Tan reflects on his former cellmate as someone who was academically brilliant, but whose personality and mental state was “damaged”. John was never totally normal even though he had stopped taking the drugs. John would say repeatedly that he heard voices, an idea Mr Tan finds scary – how would one be able to work when he keeps hearing these voices in his head? How would one be able to maintain relationships? Despite his past, Mr Tan is now confident of getting back on his feet again. He attends regular Narcotics Anonymous support groups styled like those of Alcoholics Anonymous, and regularly seeks help from counsellors when he needs assistance. He knows this part of his life will remain with him and may leave a mark – but he refuses to let it stop him from moving on and becoming a better man. This quote is Mr Tan’s motivation. He looks to stories of people who’ve suffered from drug addictions, or mistakes in their past that could have haunted them for the rest of their lives – but never did. He strives to make amends for his mistakes and wishes to grow stronger for them, to become a better person. He believes standing up and being able to talk about it is the first step to help him move forward with his life. He acknowledges that because of his actions, he will face many struggles and challenges. Mr Tan recalls his prison counsellor telling him, “Once an addict, always an addict.” Perhaps a pessimistic view – but also a realistic one. Mr Tan tells us he occasionally still has cravings, but is engaged in a 12-step program to help him deal with it, and sees a counsellor to cope. Mr Tan now stays focused on his work, which helps him avoid thoughts of using drugs. Each time he suffers from these cravings, he reminds himself of how tough life was in prison, and all the people he had hurt and caused severe inconveniences to, as a reminder of the consequences of his actions. “Drug addiction is like a vampire movie,” Mr Tan says. “Once you’ve been bitten, you’re no longer the same.” When you think of the drugs, you can’t resist it because the craving for the drug (like vampires drawn to blood) never leaves you. All we can do then, he says, is learn how to control it and manage our behaviors and choices. Beyond that, he also acknowledges there will forever be a social stigma attached to him, of being a former addict. Initially, he admits he was totally ashamed and humiliated of the mistakes he had made – and despite being released in 2011, he still couldn’t work, write or even speak with any confidence through most of 2012. Mr Tan eventually realised that he had to accept the mistake he made, and move on. He knows he cannot change what has happened, but he cannot continue to be addicted to sadness and failure. It is this realisation, he says, that helped him to move on and save him from himself. “It’s not easy though,” he adds, commenting that it took him awhile to acquire this wisdom so that he can put his life back on track again. The experience, Mr Tan believes, has humbled him as well. He is no longer as quick to judge the uneducated gangsters he sees or reads about. He hopes we will discover this virtue for ourselves, this realisation that ex-addicts like himself are still human, that they have feelings and have a heart, the realisation that criticising them merely brings them down further. “If society continues to be judgmental and unforgiving, what chance do they have to improve their lives? If we condemn and ostracize them, they may give up trying to do good and revert back to taking drugs because of all the rejections and doors closed on them,” he commented. He sums up his view in that while it is good to achieve, to work hard, to get the “A”s, we must never lose our hearts because this is what makes us human. He believes it is our heart and the relationships we forge that will help us to recover when we fall down. Without it the likelihood of us slipping again, and perhaps falling further down, is even greater – and it is hard to disagree with him. 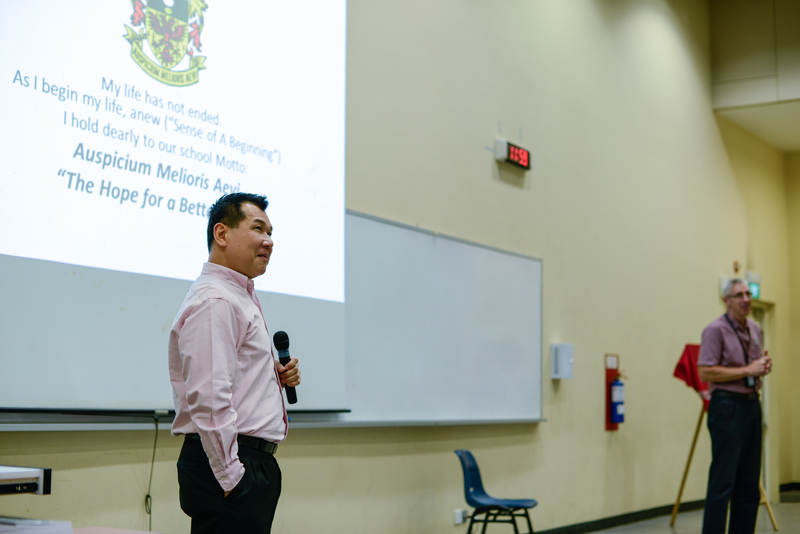 Mr Tan hopes that his words and his story will encourage us to think about the things we take for granted. To think about the things we say we will never do. His experience tells us that we are all vulnerable – and he hopes what he has shared will open our eyes to the world around us, and the dangers we may face; that we should now begin to be aware of the company we mix with, and the things we do – because no matter what we say, nobody is safe. He also reminds us that we should never be afraid to seek help, that there’s no shame in admitting you have a problem and wanting to fix it. 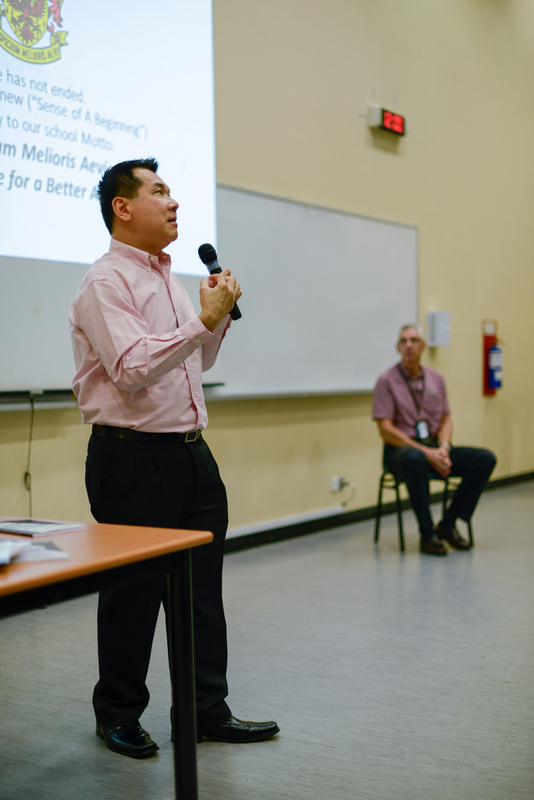 Mr Tan has been taking the steps to put his life back on track – he was recently in Manila to teach managers in an Executive Program in Real Estate, and in Kuala Lumpur to make a presentation on other projects he is currently working on. We wish him the best of luck in his endeavours – and fully believe that he will return better and stronger than ever, having put this harrowing experience behind him.